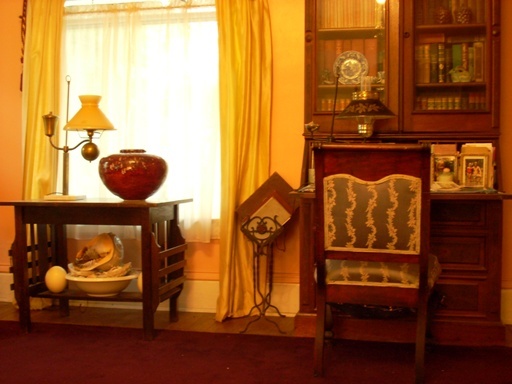 Our bed and breakfast was built at the turn of the century by the Campbell Family, namesakes of Campbell Road. The Campbell Family, early settlers of Douglas, were an enterprising family who farmed several of the surrounding acres between Lake Michigan and the Kalamazoo river. Captain John Campbell commanded a ship that sailed from Saugatuck to Chicago, bringing passengers and cargo. On the home site the family worked the farm and operated our inn. At that time it was known as Idylease. Three meals a day were served, using the harvest of the large garden.